Hello ladies! Life with 4 little ones has been CRAZY busy, BUT I try to never go a day without getting my workout in. Everything goes a lot smoother if I exercise. I even make better eating choices when I workout. I have created an At Home Leg Day HIIT Workout Routine for you lovely ladies. Why at home? Because this mama doesn't have time to be running back and forth to the gym everyday. I can push myself and work my bootie off at home... in my kitchen! Get your FREE workout routine PDF HERE. I tend to stay in my workout clothes throughout the day - ain't no shame in it! 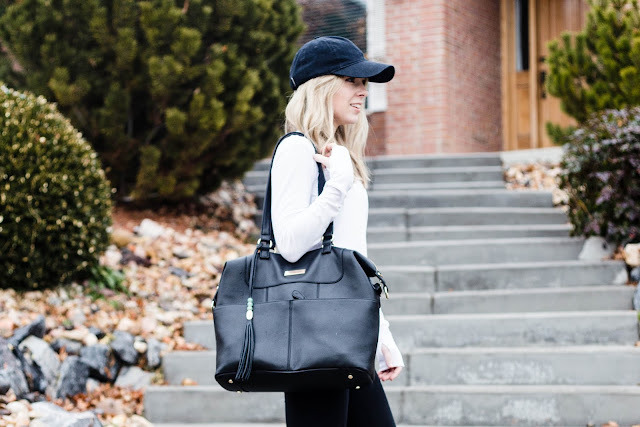 I'm the type of girl who throws on a hat, grabs my bag, and runs out the door with children in my arms. 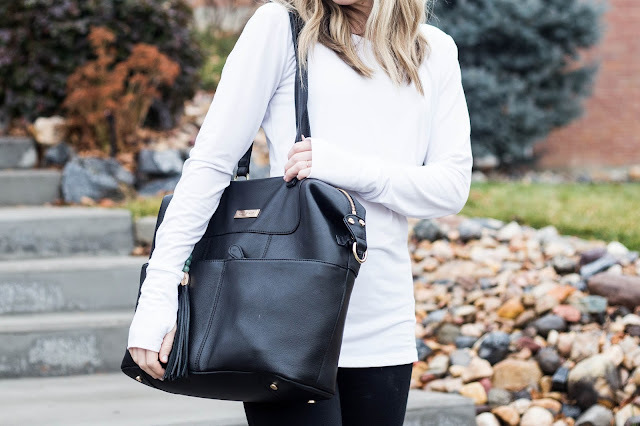 I'm currently obsessed with my black leather Shaylee Lily Jade Diaper Bag. Good accessories can make anyone look put together in a cinch! Let me know what you all thought of the workout routine - I'd love to hear if your legs are on fire!